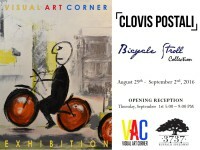 The Virtual Art Corner collects, studies, conserves, and presents significant works of art across all times and cultures in order to connect people to creativity, knowledge, and ideas. We believe your organization would benefit greatly from our Art Level Sponsorship. We appreciate your support. Business listed in VAC monthly newsletter sent to subscribers and members featured in the VAC website and Facebook page. 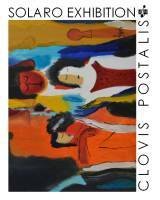 Business listed on exhibition posters, invitation and print material and VAC publications. Plaque displayed throughout the year at all VAC Art Events and Exhibits featuring your organization. 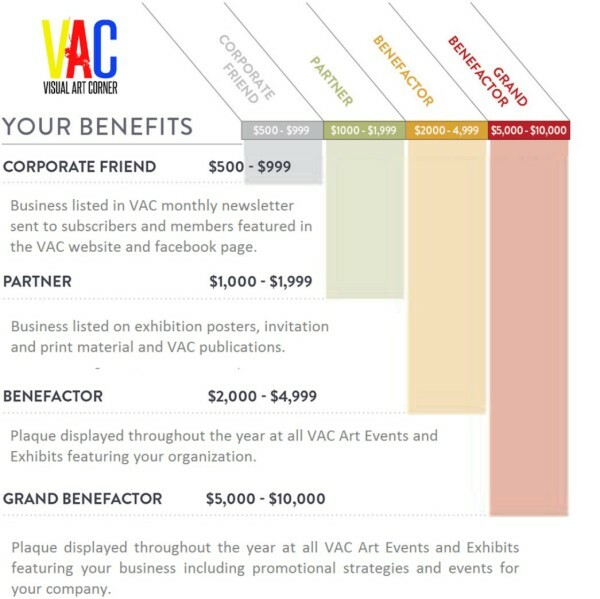 Plaque displayed throughout the year at all VAC Art Events and Exhibits featuring your business including promotional strategies and events for your company.